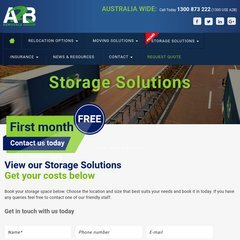 Topics: Storage Perth, Space Estimator, Storage, Self Storage, & Shelved Storage. The programming language environment is PHP/5.3.17. There are 2 Nameservers, ns1.adtrace.com.au, & ns2.adtrace.com.au. Central Data Pty Ltd (Western Australia, Perth) is the location of the Apache server. PING (202.81.217.2) 56(84) bytes of data. A ping speed test response, is timed at 235 ms.